While this herb has been studied for thousands of years, researchers have not been able to establish very many lavender side effects. In adolescent boys, the lavender herb can cause breast tissue to grow. As this is usually unwanted, boys under 18 should avoid lavender altogether. There have also been reports that lavender can impact development during puberty. It does not appear to be detrimental to girls, but children are advised to avoid it as a precaution. In addition, pregnant women should not use lavender essential oil. 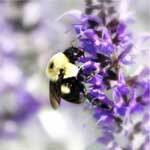 The other two known lavender side effects are related to overdose and allergic reaction. When used in excessive amounts, lavender can cause severe skin irritations. You may also have lavender side effects if you are allergic to the oil. Having a skin test performed prior to using the oil will reveal if you have an allergy, but this is usually not done. In the event that a person is allergic or uses too much, lavender side effects will be evident. These side effects include; swelling, itching and severely reddened skin. These symptoms may or may not require hospitalization, but in most cases the side effects will go away after a few hours. Because lavender oil uses include topical uses as well as aromatherapy and general cleaning purposes, it is possible to be exposed without actual usage. If you believe that you are allergic to this oil, you will want to avoid touching, smelling and being exposed to it altogether. Even though lavender oil benefits most people, those that are sensitive to it should avoid it at all costs. If you are allergic to other essential oils, be cautious with lavender. Additionally, make sure that your lavender has not been diluted in carrier oil that you are sensitive too. In some cases, an allergy to secondary oil can lead some users to believe that they are allergic to lavender. Ask your parents and grandparents if they are allergic to any type of oil. Some people are genetically predisposed to an allergy, in which case there is really nothing that can be done.